It is acceptable for dance majors to pursue two majors, two degrees or a minor at TCU. Students who want to earn a degree in ballet and/or modern dance while simultaneously working toward a second major in the College of Fine Arts, a second degree, a minor or a dance certification should expect to spend more than four years to complete the additional requirements. Select your first preference of audition date. You will be notified if that audition has been closed. What is your primary studio? Please provide the name, city, and state. For each applicable discipline (Ballet, Modern Dance, Jazz, Hip Hop, etc.) describe the on-going consistent classes you take each week. List your instructors, class frequency, and number of years in training. Do not include Master Classes, Intensives, or other short-term activities in this section. Summarize your performing experience and identify specific feature roles. Provide the approximate dates, venues, and choreographers. List any affiliation you have with local dance performing groups or companies. Describe your experiences including the type of work and where/when they were performed. List training you have experienced outside of your regular studio such as intensives, master classes, workshops, or conventions. Supply dates, location and duration as well as any scholarships that apply. List all prior injuries, dance related health issues, and the current status of these issues. Specify "none" if appropriate. Resumes or other informative documents may be attached here. All applicants should provide the headshot and photos for their major field. If you are auditioning for consideration as "either" a ballet or modern dance major, supply all three photographs. Photos do not need to be professional quality. All videos should be provided as YouTube links saved in the "unlisted" format. Other video services are permissible if they do not require a sign-in or password. MOV files are not acceptable. We prefer complete applications upon submission, but if you do not have your audition videos ready, links to them can be emailed to us any time before the due date. Supplemental video materials should be supplied as early as possible. No materials need to be professional quality. Keep in mind that you will be asked at the audition to perform the same solo you are providing us on the video. Start with your name, city, state, and your proposed major. Tell us something about you that is unique. 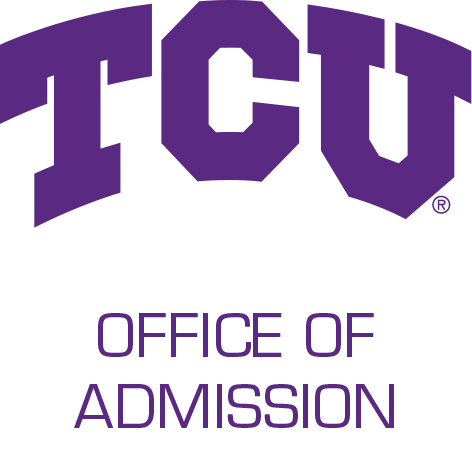 Tell us why you are targeting TCU - What you hope to gain or experience here? Tell us about your long-term goals and choose one of these discussion points: What was the last book you read, movie you saw, or place you visited and tell us briefly why it was memorable for you. Ballet Video: A one-minute classical ballet variation is required if you would like to be considered as a ballet major OR if you want to be considered for either major. A one-minute contemporary solo is required if you want to be considered for the modern dance major. You are welcome to submit choreography samples, performance videos, or any other materials you would like us to consider. Please put the information about the piece in the YouTube listing. If this is a group work, identify yourself so we know whom we are watching. Tell us how you learned about the SSCD at TCU. Select all that apply.